-SG- ...pictured in Yorkshire in 1935. This pleasing photo comes from the photograph album of Calum's (purveyor of the 1930 Amal booklet just posted) grandfather. 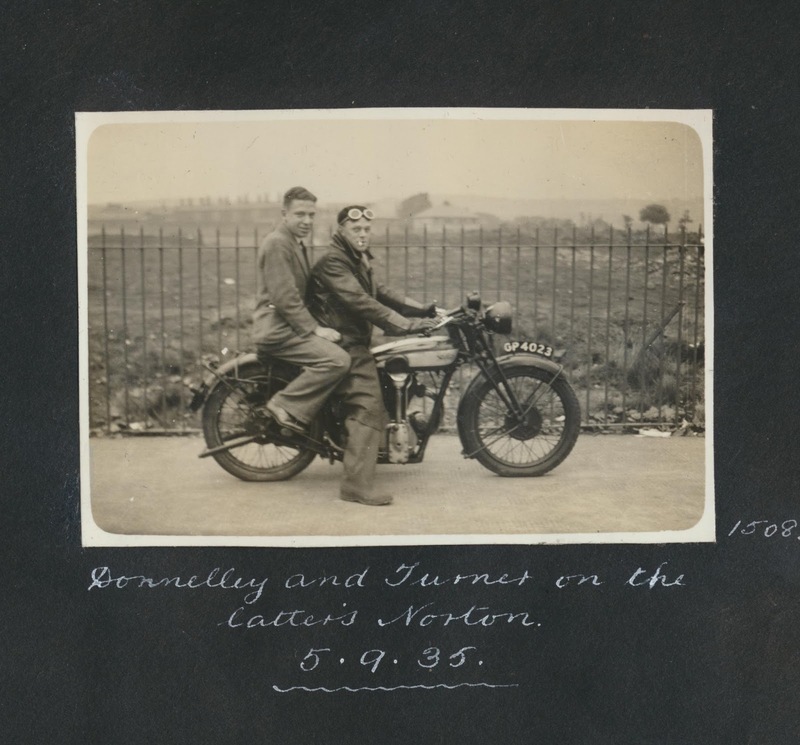 The chaps on the bike were just a couple of his grandfather's friends. 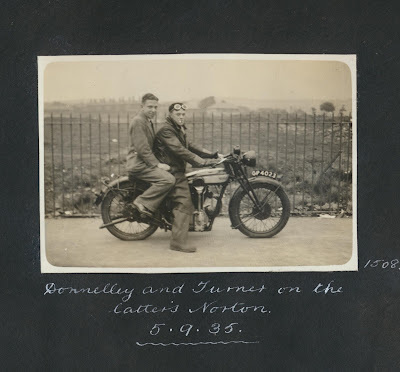 He has promised to see if there are any other Norton related photographs in there. Meanwhile, thanks for this one!